Our mission: The Circle of Sisterhood will leverage the collective influence of sorority women to raise financial resources for entities around the world that are removing educational barriers for girls and women facing poverty and oppression. At first look, it may seem like an organization for women by women, but the reality is that the whole world, will enjoy the fruits of life in a world where all women are educated. 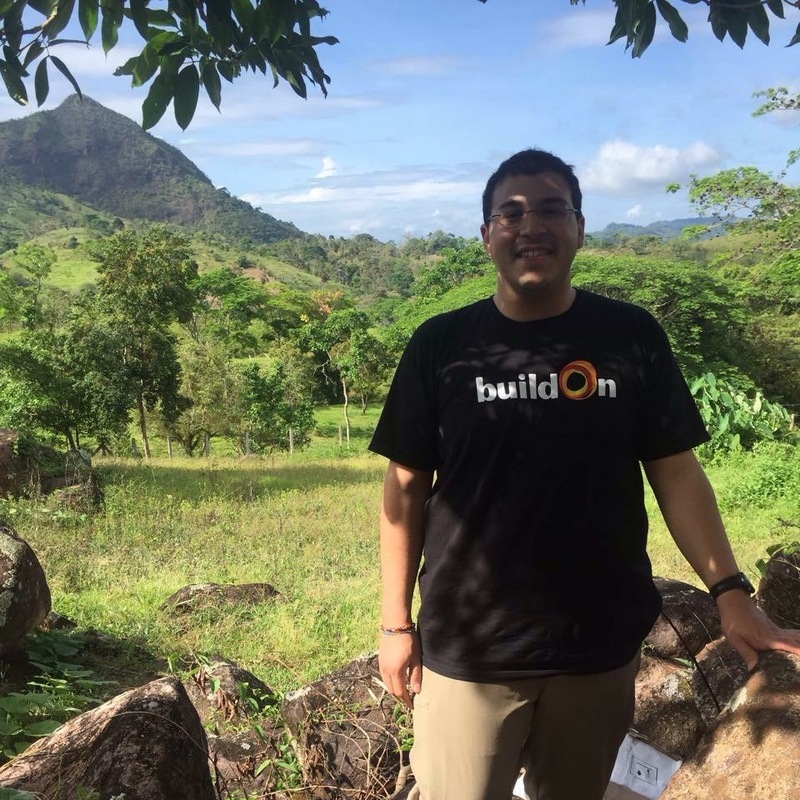 In this post, we would like to share the story of one of our “Brothers for Sisters,” Frank Lopez, brother of Alpha Tau Omega, and his experience on a Circle of Sisterhood Trek with the Panhellenic women of Florida State University. “I have been blessed with the guidance of some astonishing women. The strong, wise, and incredible women in my life are part of the reason I have been successful in my endeavors. It is my hope to carry on their influence, giving women the power to thrive,” Frank Lopez. First, provide us with a snap shot of who you are. My name is Frank Lopez and I currently serve as the Coordinator for Greek Life at Christopher Newport University, where my primary job responsibility is advising the Panhellenic Association. My journey in the world of Fraternity and Sorority Life began in Texas when I joined Alpha Tau Omega at the University of Texas at Arlington where I earned a B.A. in Communication and Public Relations. After completing my undergraduate degree I moved away from home in Dallas, Texas to purse my M.S. in Higher Education and Student Affairs from Florida State University. It was at FSU, where I served as a Panhellenic Advisor, that my passion for the mission of the Circle of Sisterhood began. Little did I know, what started off as a small conversation with a few Panhellenic women, would manifest into one of the greatest and most valuable experiences I will probably ever have. How and why did you initially get involved with CofS? After the initial idea of a school build with Circle of Sisterhood arose, the Panhellenic women at FSU and I were overcome with passion at the idea of being able to make an immediate impact through CofS. In my work as a Panhellenic advisor, I came to the realization that I wanted to be a fraternity man that was a part of the movement in “removing barriers to education for girls” and women all around the world. This fight was beyond gender boundaries. As a first generation student with the privilege of having received my masters degree, I also feel a responsibility to help others especially women enjoy the blessings of education. As an IFC man, what is most appealing about the CofS cause? As an IFC man, I have pledged myself to living a life devoted to the betterment of others through support, love, respect, and service. These are the things that guide what I do, and why I do it. Everyone has their own way of living their values and passions, I choose to live mine through my work with students but especially with women. Being an IFC man was part of the foundation on which I built my life. This enriched my character and enabled me to care and serve others. Within CofS I found a particular global and social issue to focus my service towards. Being an advisor, how did you see the trek impact your students? Many of the students that I worked with had no idea how educating women could produce such positive impacts. I often found that they took advantage of the privileges associated with being enrolled in a higher learning institution. However, so many of them have come back from this trip not only with new perspective of themselves, but also a stronger appreciation of the opportunities they’ve been given. Since then, they have worked diligently to share the knowledge and the power that their stories embody with all who may cross their path in life. Sorority and Fraternity life are considered values-based organizations. What values did you see shine through during your trek to Nicaragua? Compassion, service, perseverance, and devotion are the strongest values that were lived through every moment of the trek. Compassion was a value that the women AND the community members showed during our time there. They opened up their homes, provided accommodations, and spent time educating our trek participants on their culture. Ironically, while we were there to provide the opportunity to gain education, the community members were already filled with so much knowledge. This knowledge was one of love, appreciation, and kindness. In many ways, our women gained knowledge about life that no institution of higher education can teach in a classroom. Devotion and perseverance were two values that were so easily practiced and seen in the interactions with community’s women and children. No matter how long and hard the women worked in the sun and dirt, they took every free moment to interact with the children and their families. No matter how challenging, uncomfortable, or new an experience was, these women dove in and lived their experience to it’s fullest. Any particular moments that stand out to you? One afternoon we held a “panel type” discussion with a handful of community women. During this conversation, all women got the chance to create an organic conversation about life as a woman in their respective countries. Much of this conversation was spent on the experiences and advantages education has offered each individual. It was during this panel conversation that it hit me how much I took advantage of my recent graduate education. There were people in the community who did not even know how to spell their names or write out the alphabet. They signed their “names” with thumbprints. 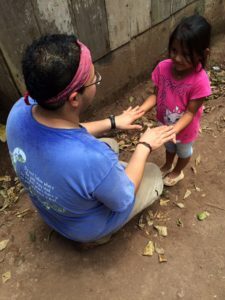 I now live my life differently every day because of the perspective I was given by the beautiful people in the community of Esperanze in Nicaragua. Why should someone care about CofS and the education of women? Knowledge is a power that a person can gain and no one can take away. It is the power that continues to work each day to make this world a better place. There is not one version of a “perfect” world that does not include women. This world NEEDS more women to play their part in changing the world. There is an unexplainable unique power and influence that women have over society. To this day there are times when I am not able to put to words what amazing development and knowledge the influential women in my life have given me. Each day CofS is changing the lives, education, and perspective of communities all around the world. CofS is working purposefully to develop a new global standard of living. The time to stand by the millions of girls and women around the world in need of opportunity is now.